The local church is a small version of the universal church in every way. In this article local church refers to the small Christian meeting; it is a gathering of people to experience God. It is a small body of believers who meet and worship together. Here we would look at the local church and its place in the larger body of Christ. 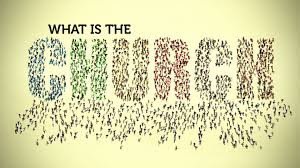 The whole body of Christ is one, we are a Church and yes we have our local churches. What is this local church and why did God create it (remember the Church is a creation of God). Before we go further we must quickly define the Church. The Church is the fellowship of the sons of God. This is true for both the Universal and the Local Church. For the Universal Church 'fellowship' here means sharing and living by one life (the Father's life). For better understanding read, Fellowship; The Organic Life. But for the Local Church 'fellowship' means spending their lives together as a community. Spending their lives together involves frequent meetings, and here we would look at the Local Church as the meetings — the gathering of believers. In the Local Church or rather a Christian meeting every attribute of the Church is represented in it most simple form. The essence of this is so in the Christian meeting the believers would learn to be the Church. The principles that constitute the Church would be implanted in the believer right there in the meetings. The believers would be equipped to be the Church that God had proposed from eternity past. A pilot can train using flight stimulator which is designed to replicate the equations that govern how aircraft fly, how they react to applications of flight controls, the effects of other aircraft systems, and how the aircraft reacts to external factors such as air density, turbulence, wind shear, cloud, precipitation, etc. This device is a representation of a real life aircraft and it allows the pilot have a taste of flying a real aircraft. The device introduce to the pilot certain situations encountered while flying an aircraft. Through this way the pilot becomes more familiar with aircraft situations and he develops the skills required to fly a real life aircraft. The Local Church is more like that flight stimulator that is a model of the real life aircraft. In the Local Church we would be equipped to be the body of Christ in this hostile world. Everything in the larger body of Christ is represented by a more simpler form in the Christian meeting. For example let's look at worship: in the larger body of Christ worship is putting to death the flesh in order to express the Christ in you, for the sake of reverencing the Father — read more about this in Spiritual Worship. That is worship in it larger sense, but worship in the simplicity of the Christian meeting is singing and dancing. Through this singing and dancing the believe dies to himself and reach out into the spirit to express the Christ in Him. The believer forsakes his flesh so that the Son can worship the Father through him. The believer expresses the worship of the Son to the Father through dancing and singing. In that meeting the believer is learning to live a life of forsaking the flesh in order to express the Son onto the Father. The more we go deeper in the experience of worship in the Christian meeting is the more we are able to live a life of worship. We become conformed to the principles of worship and learn to live a life of worship through the experience of worship in the Christian meeting. Another example is functioning as a body. The Christian meeting is alive just as the larger body of Christ is a living body. The Christian meeting is a smaller version of the whole body of Christ. In the meeting each member function together as a single body. The Christian meeting is not a few member dominating the whole group. A body where only the hands are functioning is not an healthy body. Each member of the body must be alive; they must all function. In the Christian meeting the Spirit of life moves through every member making the whole body alive. In the Christian meeting we learn to be a body. We learn to function together in harmony; we become conformed to the harmony of the body. We learn our part in the body and we learn to respond to the head and act like one mind and one body — each part knowing their function and acting as one body. Our response to the head becomes sharpen through the experience in the Christian meeting. When we learn to be a body in the meeting we would be able to function as a member in the universal body of Christ. The Christian meeting is where we learn to be a body. God designed the meeting to be a place to build us into a Church. Yes, the Christian meeting is designed by God it is not something that is planned and organized by man. The reason why the body of Christ today is too weak and darkness is prevailing is because there is something wrong with the way we meet. If we learn to meet according to God's eternal thought then the body of Christ would be as glorious and as powerful as God intended her to be from eternity past. This why we must get the meeting right, for only then can we fulfill God's eternal purpose.